Phrasal Verbs: Drop. 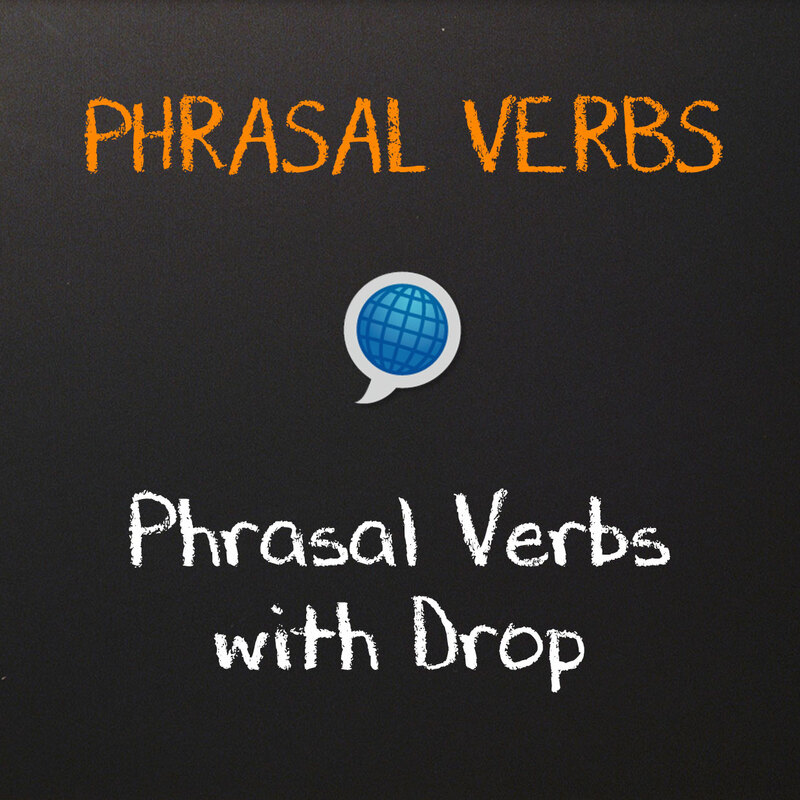 Learn phrasal verbs with drop. Learning English phrasal verbs is important for all students of the English language. Improve your reading and listening comprehension by studying these common phrasal verbs with drop. At the end of this lesson you can download this free English lesson! Learn common English phrasal verbs with drop! My favorite horse dropped back into fourth place and lost the race. Let’s drop in on Grandma before we go to the beach. Larry always drops me off at the airport when I fly back to Miami. The number of tourists drops off in May. Steve Jobs dropped out of college to start a computer company. Important: The phrasal verbs with an asterisk (*) are inseparable. When the direct object is a pronoun, it must be placed in the middle of a two-word phrasal verb. Example: Larry picked her up. NOT: Larry picked up her. These are just a few common phrasal verbs with drop. Feel free to add some more by commenting in the section below. Follow this link to learn more common phrasal verbs in English.